Scottish technology company thinkWhere has appointed David Frankland to the position of Operations Manager. A valued member of the Stirling based company since 2012, Frankland will be responsible for leading the development and delivery of a range of pioneering solutions that allow maps and geographic information to be easily accessed and shared online anywhere in the world. Frankland’s promotion comes at important time in thinkWhere’s development as the company is looking to increase its UK market share and expand its global operations. A first class graduate in Geography and Geology, Frankland also holds a Master’s Degree in Geographical Information Systems (GIS) from the University of Edinburgh. 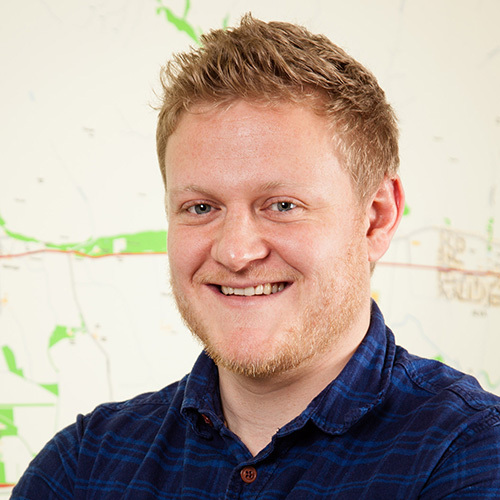 Frankland originally joined thinkWhere in 2012 in the position of GIS Developer having previously worked as a Research Assistant for the Scottish Carbon Capture and Storage Group and as a GIS Analyst for Edinburgh based Mapix Technologies, the company behind the Routescene brand of laser scanning solutions. During his time at thinkWhere Frankland has been influential in the successful delivery of a number of high profile projects including the delivery and implementation of a Disaster Management Information Service in Cambodia, delivery of a bespoke web mapping application for the British Library and project management of the next generation Humanitarian OpenStreetMap Team (HOT) Tasking Manager software. In his new position Frankland will be instrumental in translating business strategy into the customer value leading the development and delivery of products and services including Software-as-a-Service and Data-as-a-Service (SaaS and DaaS) roadmaps based on thinkWhere’s innovative spatial data platform theMapCloud. He will lead a multi-disciplined team utilising modern cloud, Open Source and software engineering technologies and will also oversee the effective provision of technical support, consultancy and training services.